America’s statement and the International News Agencies Statements about the Egyptian Protest Law can be used by Egypt in raising an International Lawsuit against the USA and the International News Agencies. 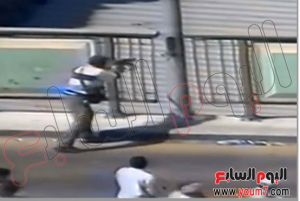 USA and their politicized News Agencies are deliberately attacking Egypt and putting pressure on the Egyptian Government to keep Egypt’s hands cuffed, while Egypt is fighting terrorism. 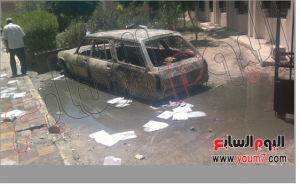 The barefaced double standard of the USA and their interference in Egypt’s internal affairs and the US Policy of Twisting Egypt’s arms and challenging the Egyptian People’s will and free choices, is actually the US participation in supporting and creating a fertile environment for Terrorists in Egypt. 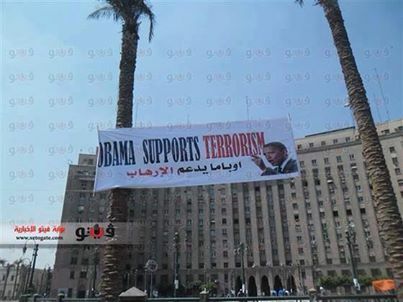 This for the Egyptians doesn’t have any meaning but USA is supporting terror attacks against Egypt! 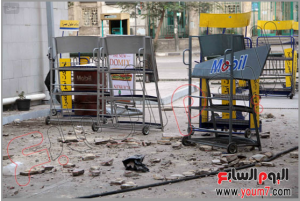 What the US is doing since the 3oth of June 2013, and before the 30th of June and to be specific since year 2005, when US decided to support MB Extremists Islamist to reach power in the whole Middle East Area under the Claim of the Creative Chaos of Democracy and the New Middle East Map. 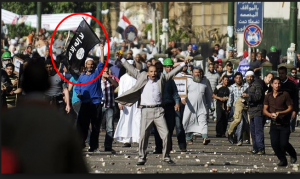 How dare the US still supporting terrorists like the Muslim Brotherhood Organization and attacking Egypt for making a Law to organize protests! 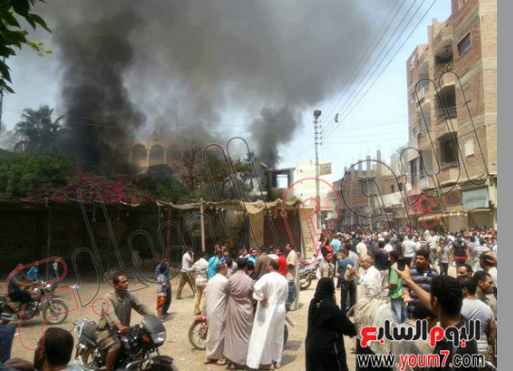 Brotherhood violent protests became a terrifying nightmare to each Egyptian Family in the Egyptian Community! What a barefaced Insolence US Policy is! 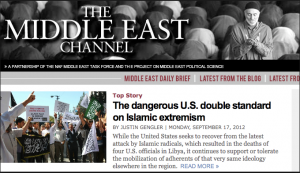 US consider Al-Qaeda and Hamas as terrorists Groups! 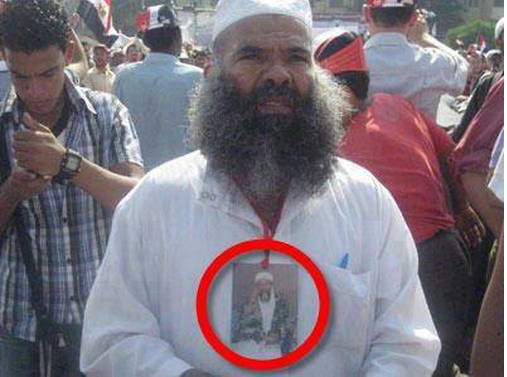 Mohamed Alzawahiri the Brother of Al-Qaeda current Leader is one of the closest friends to Former President Morsi. Morsi had direct contact with Al-Qaeda Leader and gave presidential Pardon to the dangerous terrorists elements during his reign! But USA was supporting the Muslim Brotherhood and still supporting them against the will of Millions of Egyptians! 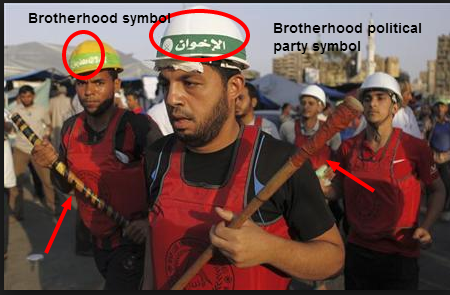 I don’t understand, why the USA consider Al-Qaeda as Terrorists Group then, if they support Muslim Brotherhood! Does the US think that Egyptians are retarded and ignorant and they don’t know anything about the US dirty deals with the Muslim Brotherhood since 2005? 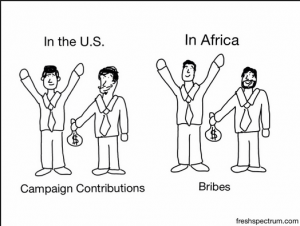 Instead of claiming that Egyptians believe in the theory of Conspiracy, US better prove to Egyptians that there is no conspiracy in the first place. 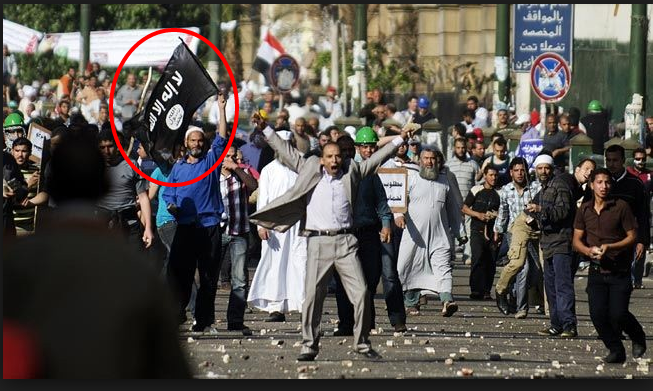 And the only way to prove this, is to stop supporting Muslim Brotherhood Terrorists. 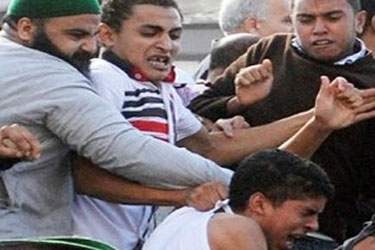 But even if US will stop supporting MB some times in the future, Egyptians will never forget nor forgive those who participated in killing our children and cooperated with Muslim Brotherhood in destroying our country and trying their utmost to divide our unity and smear our Military’s reputation and unity. US will never be able to divide Egypt like they did to Iraq, Libya, Syria, Yemen and Sudan. When the United States were attacked in 9/11, they did not just issue Emergency Laws, but they invaded our countries and killed thousands and millions of civilians under the Claim of weapons of mass destructive, and another invasion under the claim of their fake Democracy in the New Middle East. 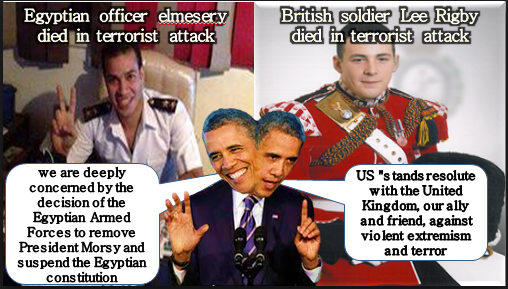 By the way, who is controlling Libya now? Say what? Al-Qaeda? 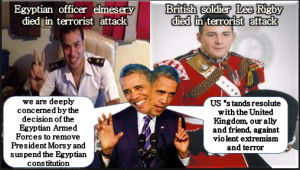 What happened to the US claims of promises of freedom and democracy in Libya? 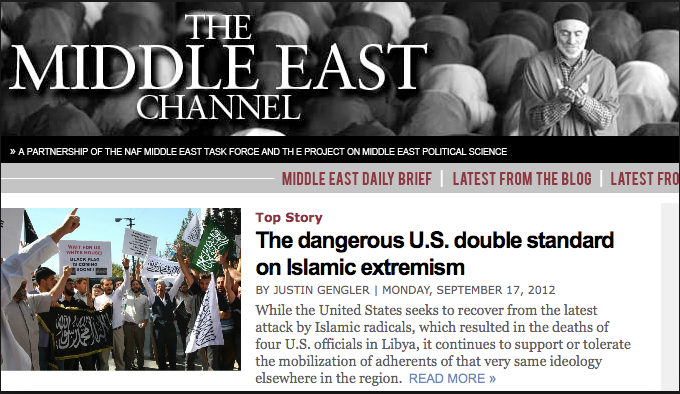 US brought Al-Qaeda to Libya and Iraq, who could ask for anything more! 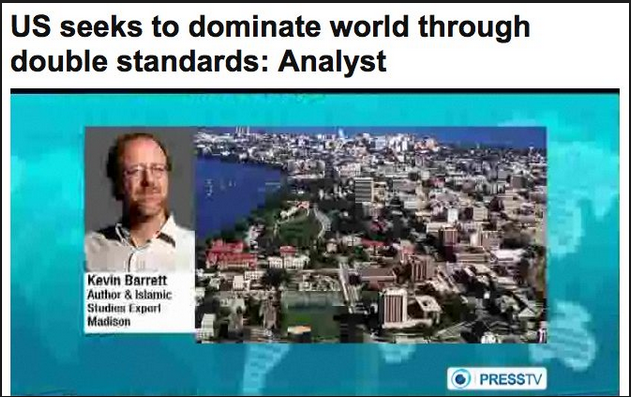 US is the last country on earth to talk about Human rights! 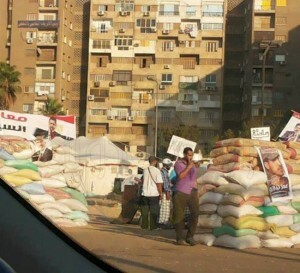 How dare the US claiming that the Egyptians are angry from the protest law?! The protest law was a popular demand. 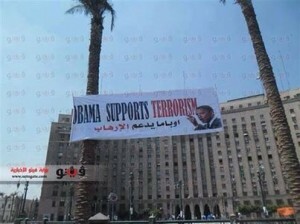 Oh, I guess America knows about Egyptians and how do they feel, more than Egyptian do then!? 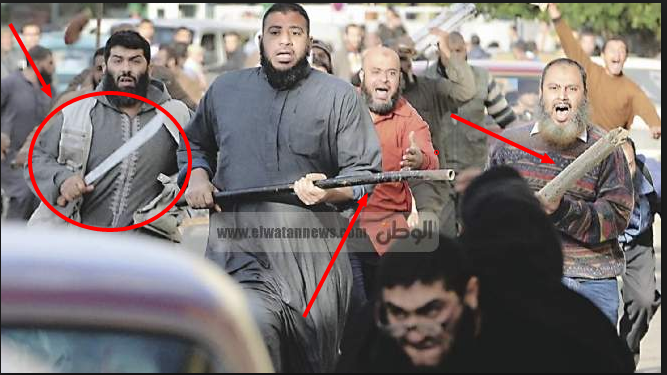 Why can’t America dare to say The Brotherhood terrorists organization and their armed supporters are angry from the protest law? 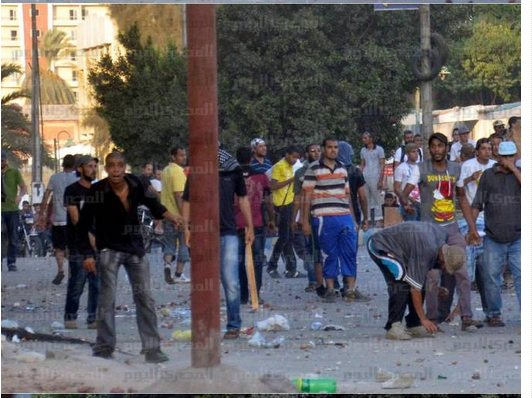 If the Brotherhood supporters have any intention to protest peacefully, what are they angry about? No one is angry about the Protest law, except those who have a special plan to destroy Egypt and destabilize the Egyptian State, every time we are trying to take a step forward for reforms and stability. In the meantime we are fighting terrorism, and we are struggling to survive in peace and concentrate on building our country, while Brotherhood are destroying the country. 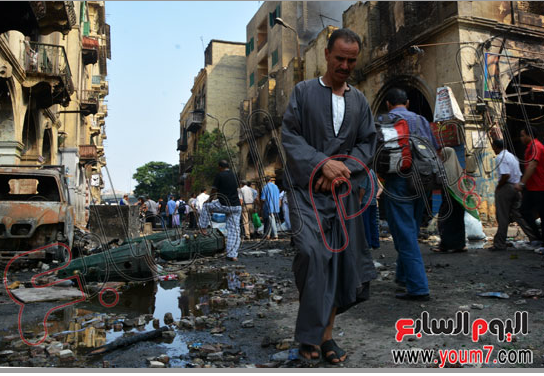 How dare the US talk about how Egyptians feel and think, while they know nothing about Egyptians. Oops! If US really knows Egyptians well, how come their former Ambassador did not tell them about the 30th of June revolution which Overthrew Brotherhood, and just told them don’t worry, be happy, Brotherhood have the whole Egyptian population in their left pocket and everything is alright! Oops! Former American Ambassador was taking false information from Brotherhood too? 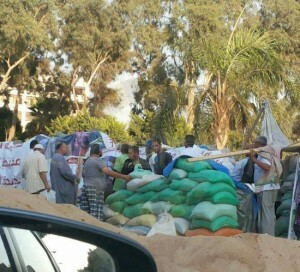 What does the US know about the poor people in Egypt, who stay in the streets for hours to sell candies or flowers or some clothes to get back to their homes late in the evening, hoping to put food on their table? 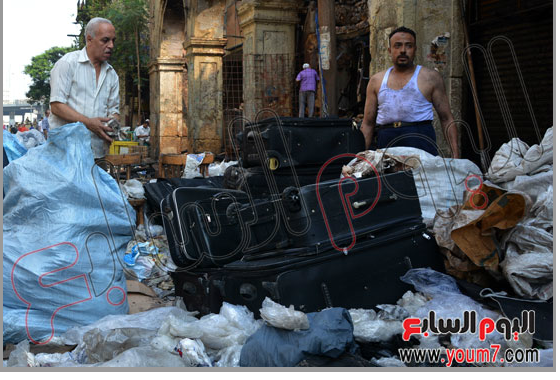 These poor people who own small shops or some poor kiosks in the streets, were harmed from Brotherhood demonstrations which were making their lives more miserable. Brotherhood destroy everything even the simple dreams of poor people and they are very good in trading with poor people’s blood and sufferings! Instead of claiming that Egyptians are angry from protest law, US should call things by its real names. 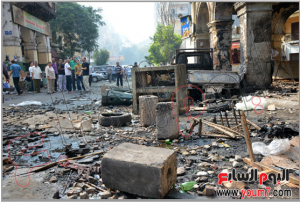 The one who is harmed, are the Brotherhood who leave bombs in our neighborhoods to kill our children and shoot people randomly in the streets and damage our public and private properties and commit terror attacks against our Military and Police establishments and forces, and block roads and terrorize people in the streets. 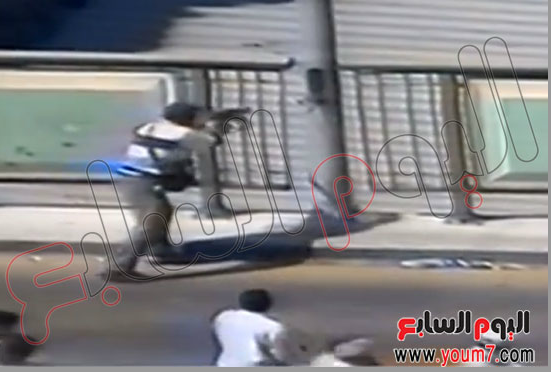 When 11 soldiers got killed in a terror attack lately, US and their big fat liars news Agencies claimed that the Egyptian Military and police are weak and unable to protect people and establishments! US is attacking Egypt even when terrorists are killing us! 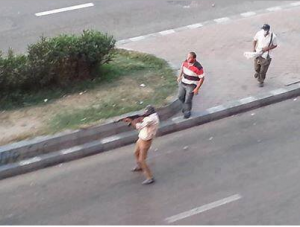 Egypt is fighting terrorism, Egypt is fighting Hamas Militias, Al-Qaeda terrorists, Islamist Jihadi Extremist. 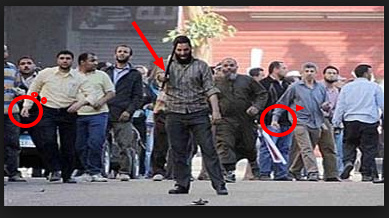 And who planted all these terrorists in Egypt. 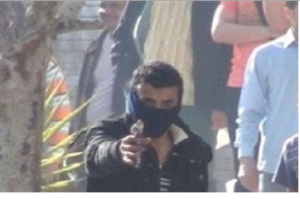 Who is providing terrorists with ammunition? 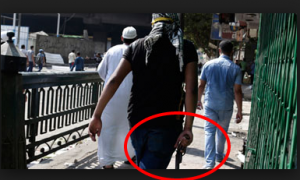 Who is smuggling weapons and terrorists to our territory? Muslim Brotherhood are, with the support and blessings of the United States of America, hoping that the clock will turn back! No, the clock will never go back. 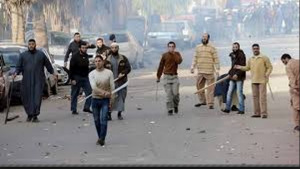 Many countries are attacking us and forcing us to kneel and give up our freedom of choices and give up our revolution, and give up that justice take place against Muslim Brotherhood who are killing us with cold blood. Qatar, Turkey, USA and their allies, these are the countries who cooperated with the pure evil Muslim Brotherhood Devil to divide Egypt to provinces like they managed to divide many Arab Countries. For these countries, the Middle East Chaos Project won’t be completed, till they take Egypt down! Send all your diplomats to Egypt to hug ours with one hand, and carry a knife in the other hand to stab us right in our backs! 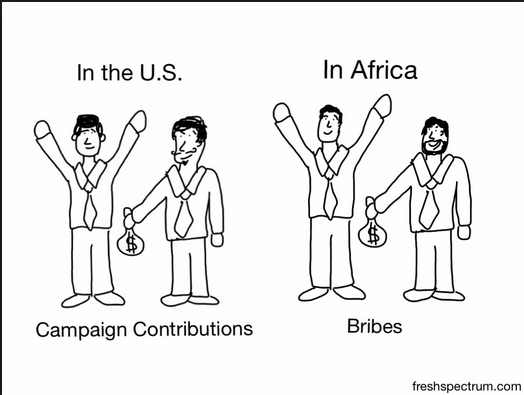 That’s what US and their allies are doing! 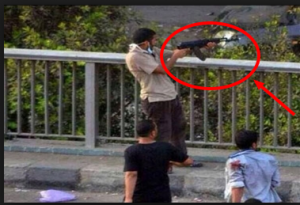 UN also were attacking Egypt for Protest law! I wonder if the UN is really independent from the US? Haven’t heard UN’s voice when Egyptians were crushed and killed by Muslim Brotherhood during their reign! Who else is allowed to talk about Human Rights except the United States Of America the Big Sponsor and supporter of Barefaced Double Standard Policy! US lecture us please about Human Rights after you wash your bloody dirty hands from Millions of innocent people that you have killed all over your black history! 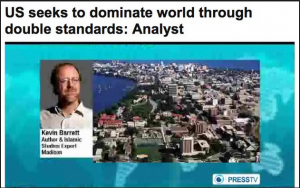 US is talking about what? Human Rights? That’s the silliest joke I have ever heard! This is a link to the US Massacres against Humanity since 1954 to 2013, read it please and then come and talk to me about the Human Rights that US is sponsoring! This is another link of the White House War Crimes against Humanity, check it out and then define the meaning of what is Human and what is Inhuman but not according to US definition! Another link to US Sponsor of Human Rights who is at the same time the big supporter and Ally of the African Dictators who practiced Genocides against their own people. 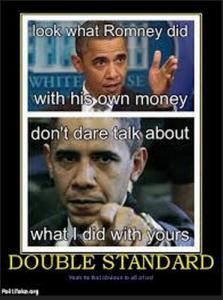 Read it and then explain to me what does The Double Standard Expression mean to you? The last link here of Obama Bin Lying who talks about honor and morals and human rights and he is violating Millions of Egyptians, Syrians, Yemenis and Iraqis rights and practicing political immorality against Humanity! Is the US allowed to commit crimes against Humanity and in the meantime, they claim that they are the defender of Human Rights? Is this really logic or does it really make any sense? If you read the Protest law of Russia, France, England or the USA, you will hardly notice any difference between these countries protest laws and the Egyptian Protest Law except like I mentioned, the only difference is the Double Standard of these countries towards our Middle East Region. Is it allowed in the US that protesters damage Universities and attack professors and stop other students from learning? Is it allowed that Protesters carry knives and weapons and start attacking other students in Universities and schools in the US? Is it allowed in the States to burn trees and public and private properties while protesting? All This is happening in Egypt. 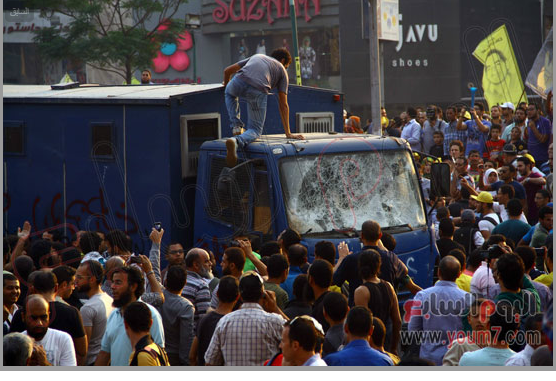 Brotherhood students and supporters make chaos in the Universities and schools and in public and private places to paralyze the country and they damage private and public properties. We were suffering from Brotherhood Regime in all aspects and we were protesting peacefully. 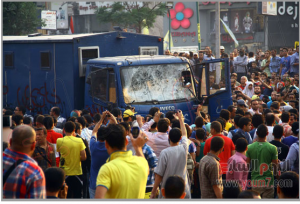 And because we were peaceful, we got tortured, and killed by Brotherhood. 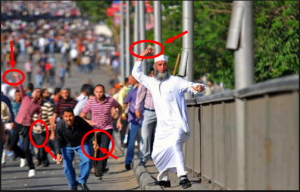 How come these Brotherhood supporters were not suffering like we were? Where have they been when we were screaming about our rights and their President Morsi was always claiming that these 10 to 15 protesters in the street against my regime, are nothing but hired thugs to destabilize my regime! Brotherhood supporters were asking Brotherhood leaders and Morsi to lock us in Jails and to cut our heads and if the Regime can’t stop us from protesting, the supporters of Brotherhood can! 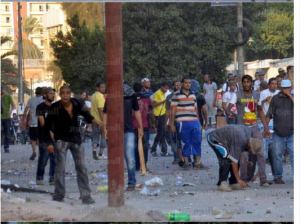 Where were the world then, when we were oppressed and crushed by Brotherhood and their supporters?! When Brotherhood were in power, they prepared a law to ban demonstration through their Shura council, and they were about to issue that law. 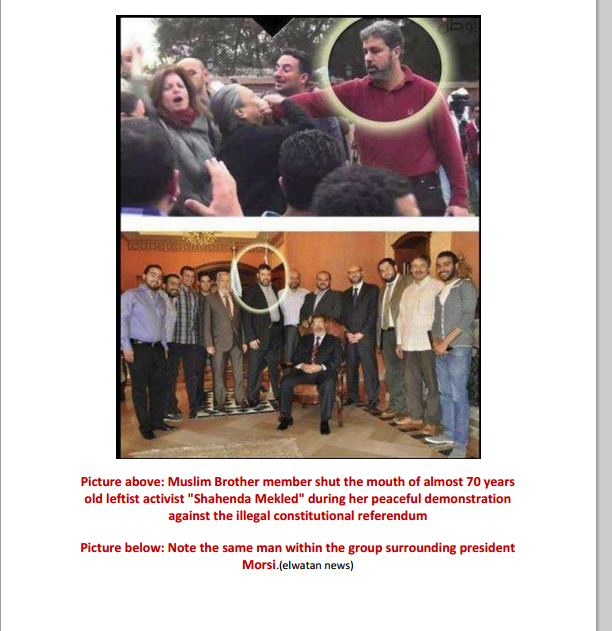 Haven’t heard the US or the UN or any of their politicized News Agencies attacking Brotherhood for such law! 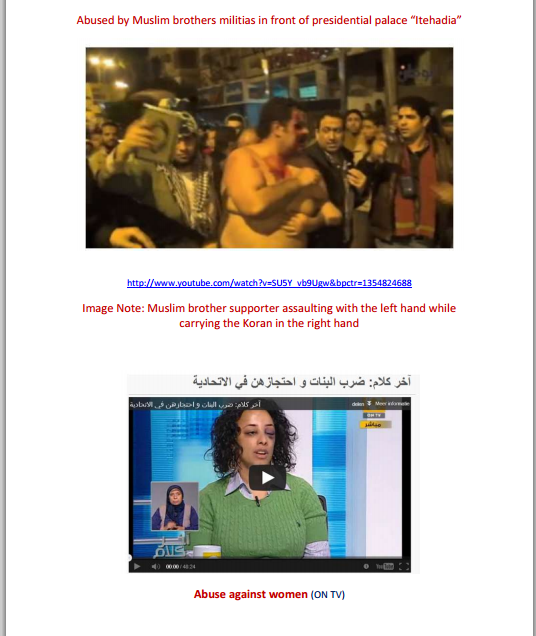 The following video is an example of the Friday 22/11/2013 Protest of Muslim Brotherhood in Cairo Heliopolis. They burned the Metro and burned the trees and they damaged Private and public Properties. Can any country allow what you see in the following video to happen in US or England for instance under the claim of freedom of speech or Protesters rights? What rights in armed violent protests are we talking about here?! This is another video of Brotherhood supporters smearing and burning the Egyptian Flag on 21/11/2013. Can the US allow any American Citizen to burn the American flag? are protesters allowed to start fire in the streets in the USA while protesting? 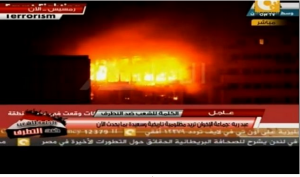 Another video dated 20/11/2013, Brotherhood supporters burning Alazhar University city Buildings in Nasr city Cairo. 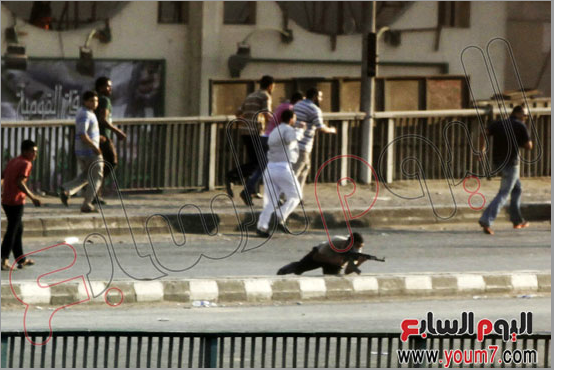 Is that what you call peaceful protests? Another video dated 23/11/2013, Muslim Brotherhood supporters attacking a woman in her car, torn her clothes and harassed her and destroyed her car because she was asking them to move from the road after they blocked the road and did not allow drivers to pass. What do you call this? 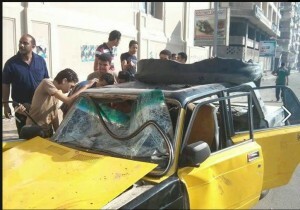 Freedom of speech and freedom of protests in attacking women and blocking roads and terrorizing people in the street?! 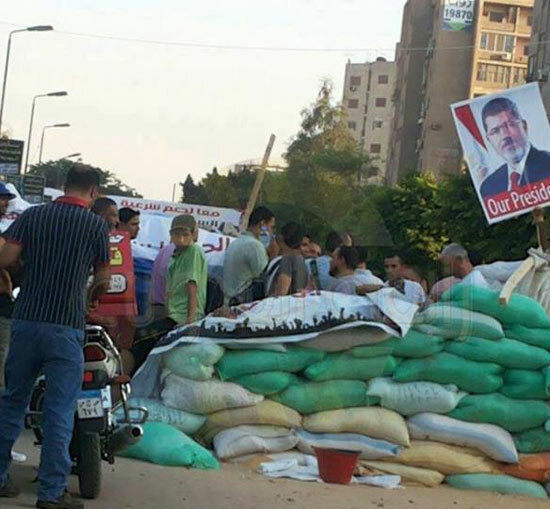 Video dated 11/10/2013, Brotherhood supporters blocking roads and threatened cars drivers and forcing them to turn back and did not allow them to move freely in the public road. Is this allowed in the US? Do they consider blocking roads and threatening drivers, a freedom of protesters in the USA? 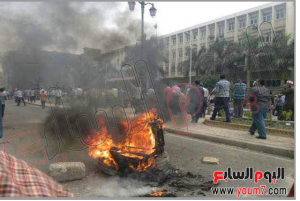 Video dated 28/12/2013, Brotherhood students and supporters burned and damaged a building in Alazhar University in Nasr City (faculty of commerce). They smeared the walls of the building as the video shows. 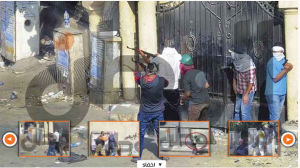 The following videos show how the Brotherhood supporters smeared the walls, the grounds and the home buildings and damaged private and public properties. They turned streets to military camps to attack civilians and damage properties. The person who talk in the first video is a brotherhood, he is saying that there will be blood against the military and those who are killing our sisters and brothers. My question is, can the US allow this to happen to their private and public properties? 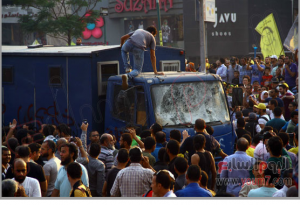 If the US consider the Egyptian law which was issued to organize protests as oppression for the freedom of speech, then I think that US should cancel their protest Law first, before they attack Egypt for issuing a similar law to the US law of protest. The US Protest law allow people to protest only in Public places. 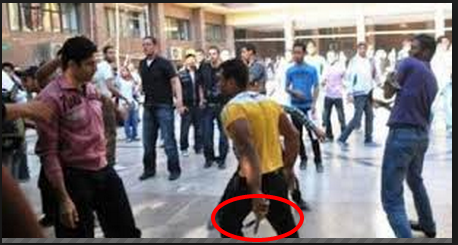 The Egyptian protest law did not really mention that people are only allowed to protest in public toilets, Did they? Both laws are similar in this regard, people have the right to protest in public places, conditioned that they respect the law and don’t commit any act of violence. The US Protest Law allow people to protest in Private places conditioned to have a prior permission from the owner of the private place. 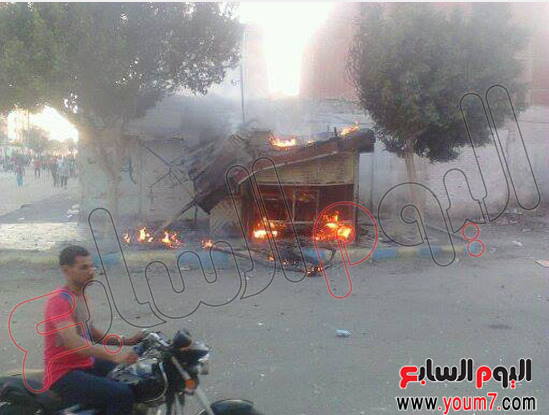 The Egyptian Law did not say that it is not allowed to protest even if the owner of the place allows it. Both laws are similar, conditioned to have the permission from the owner of the private place. The US Protest Law doesn’t allow to protest near to hospitals, schools, Universities and the Public places specified for the Citizens like , Ministries, Airports, Transportation stations, Railways, Subways and it is not allowed to cut or block the roads or the streets during or before or after the Protests. 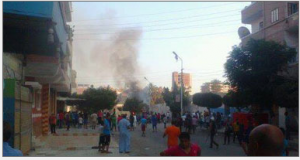 The Egyptian protest law was issued in the first place to organize protests, because the current situation in Egypt is unbelievable protests chaos! 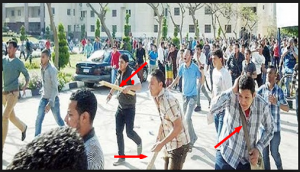 Before issuing the law Brotherhood protesters were damaging private and public properties and protesting inside schools, universities and hospitals, anywhere and everywhere you can imagine! They were protesting inside and not near or in front of! Brotherhood don’t really practice protests, they just want to create chaos and paralyze the country, every time Egypt is trying to take one step forward, Brotherhood increase their violence in the streets. The US Law is allowing the concerned authorities to change the place of demonstration and protesters to give a prior notice of the place of their protest. The same was applied in the Egyptian Law. The US law doesn’t allow people to write on the walls whether in public or private properties and it is only allowed to put stickers in certain places and not all places. The same in the Egyptian law. 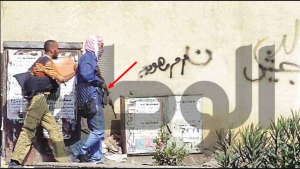 Except that the International news medias were describing those writing and smearing on the wall “Graffiti”. Of course what else can they describe it with! 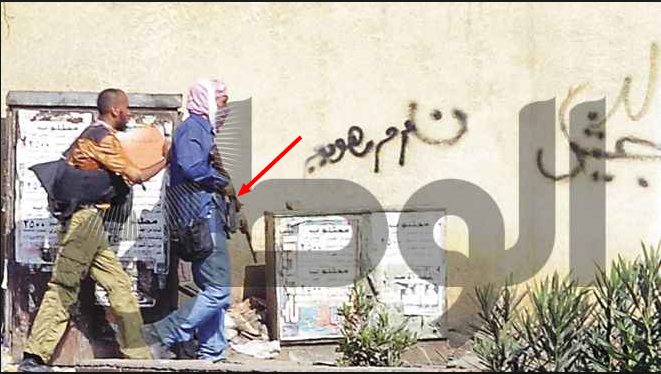 writing on the walls and smearing the walls in the US is not allowed and it is considered damaging private and public properties; But writing and smearing walls of private and public properties in Egypt, they call it Graffiti and they attack Egypt for issuing a law to protect private and public properties. US doesn’t allow people in protests to use microphones or loud speakers and only in certain occasions it is allowed conditioned to get a a special permission first, and it is not allowed to use them after 6 O’clock. Also it is not allowed to protest after 6 O’clock evening according to the US law. 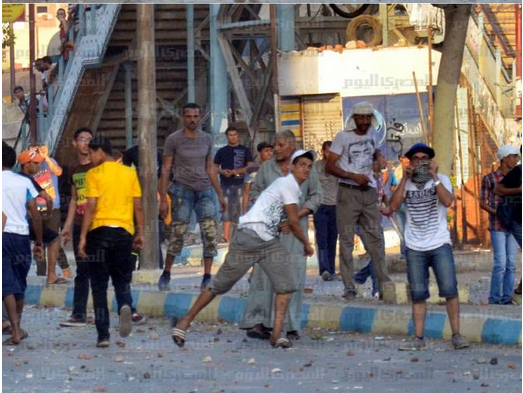 The Egyptian Law did not specify a certain time to end protests. Us law does n’t allow protesters to spend the night in the place of protest for any reasons. Protesters are allowed to leave the place by 6 O’clock and if they need to go back again, they can start their protests the next day at 10 O’clock in the morning. In Egypt for more than one month, we had the Brotherhood not just spending the night where they were demonstrating but they were also living in the place of protest like they were living at home! 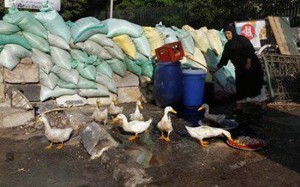 They were also blocking the entrances of home buildings in very vital areas. They took over public places and public gardens and turned them to public toilets and bathrooms! 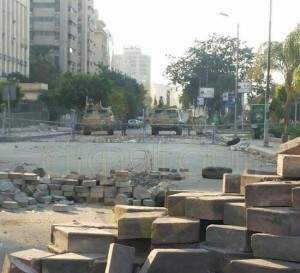 They also removed the sidewalks and used them as if they were in war zone or in a battle field! US protest law doesn’t allow weapons or fire works in demonstrations. 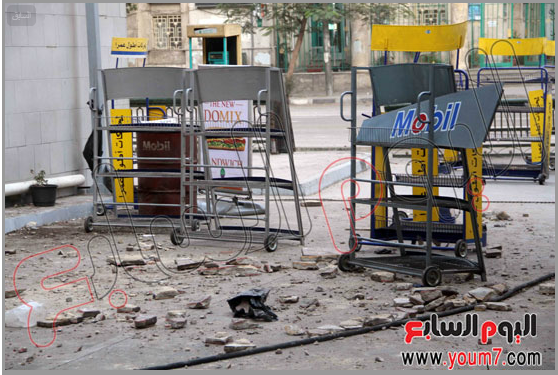 In Egypt we have both, in addition to bombs. Brotherhood use fire works not to celebrate, but to burn trees and buildings and people. Us protest law states that in case of violence, the police have the right to interfere by the power of law. 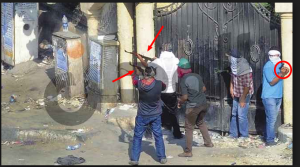 The Egyptian Law states that in case of violence, security forces give verbal 3 warnings first and secure protesters way out of the protest and to leave the place safely. If protesters don’t comply to Police warnings, then police are allowed to use water first, tear gas and the last thing is the arresting if violence spread. Egypt issued a law to organize protest and not to ban protests. Take a look on the following images. These are part of different protests of Muslim Brotherhood supporters. 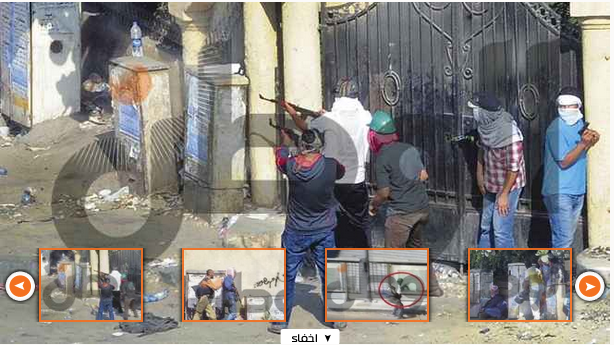 Take a close look on these images, then come and talk to me about the peaceful demonstrations and let me know if where you live it is allowed to have any similar protests like the following ones we have in Egypt. Brotherhood supporters trying to enter Almansoura university to terrorize students, holding and hiding a knife behind his back – Very peaceful protesters, don’t you think!